Today I'm participating in the A Very Merry Murder Blog Tour. In this post you will find book and author information along with my review. Synopsis . . . It’s December in Copper Bluff, and from hillside to hallowed hall, everyone is merry—or will be as soon as semester break arrives. Students are studying, professors are grading, and Emmeline Prather is anticipating the university-sponsored holiday concert. Friend and colleague Lenny Jenkins will be accompanying the visiting quartet, Jazz Underground, and Em can’t think of a better way to kick-start the holiday season. My review . . . Holiday spirit is in the air on the campus of the sleepy Midwestern college in Copper Bluff, South Dakota. 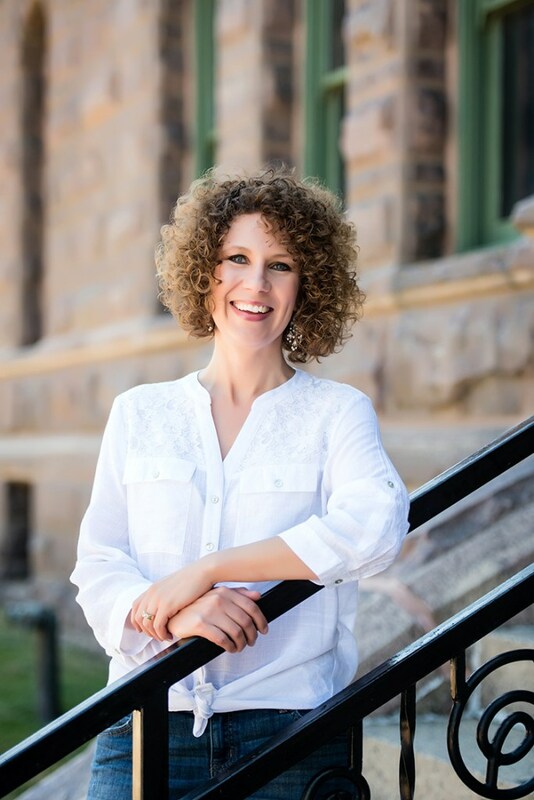 The Music Department is involved in preparations for the upcoming concert; English Professor Emmeline Prather is immersed in teaching her literature course, Crimes and Passion; and students and faculty alike are anticipating the town's holiday festival. What could possibly interfere with the merriment of the season? A mysterious death, of course. The sudden demise of Miles Jamison—visiting professor from Minnesota and charismatic leader of the Jazz Underground, the quartet headlining the holiday concert—throws a damper on the upcoming festivities. And during the investigation into what appears to be a suspicious death, the police identify Professor Prather as their main person of interest. It's true that Em clashed with Miles at a group breakfast at The Candlelight Inn and later rebuffed the pass he made at her, but she wasn't the only one Miles sparred with that morning. In an attempt to clear her name, Em and her close ally, fellow English professor Lenny Jenkins undertake an investigation of their own. It quickly becomes apparent that someone is trying to frame Em for the murder because techniques from the plot of the Agatha Christie novel she is using in her class lessons have been implemented in the crime. As she pursues her hunches, Em discovers that several students, faculty, and townspeople had previous ties to Miles—and possible grudges against him. As Em closes in on the truth, narrowly escaping from an attempt on her life, the final pieces of the puzzle come together, and Em convenes a meeting of the suspects at The Candlelight Inn to reveal the killer and the motive for the crime. A Very Merry Murder is a classically crafted and masterfully methodical mystery with carefully placed subtle clues. 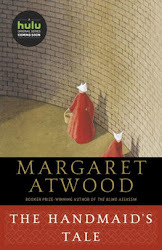 It is a gem of a read with its Agatha Christie feel, and although it is part of a series, it can be very satisfyingly read as a stand-alone. Mary Angela has populated the Copper Bluff campus and town with a solid cast of interesting and realistic characters, much like what you would expect in a small college community. The setting and characters envelop readers in an inviting environment, making the Professor Prather Mystery Series a welcome addition to the cozy mystery genre. In fact, after reading A Very Merry Murder I have treated myself to reading An Act of Murder, the first book in the series, and will soon be reading book 2, Passport to Murder. Giveaway . . . 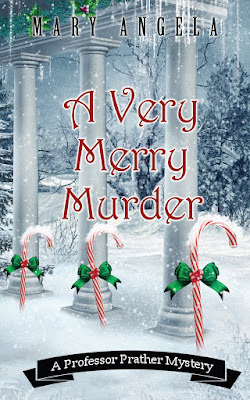 Enter the A Very Merry Murder giveaway by clicking on this link. Note . . . I received a complimentary copy of A Very Merry Murder from the publisher in exchange for an honest review. Thank you so much for the kind review--and for checking out the other books in the series! I appreciate it. Thanks for writing this series--hope there will be a Book #4 soon!